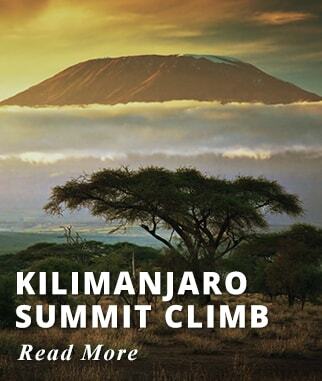 Experience Kenya a Country which is enriched with some of the most spectacular natural wilderness sites. 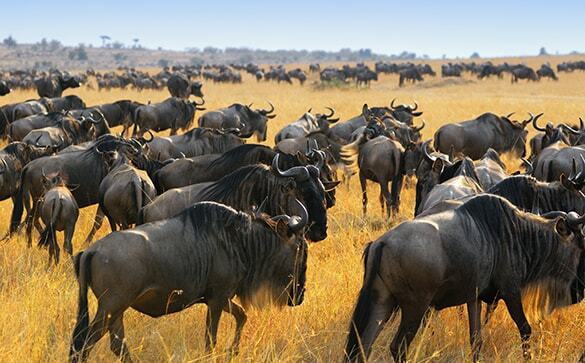 Stay at the famous Masai Mara National Reserve, home to the unique Maasai Tribe people; well known for its large concentration of Lions and the Great Wildebeest Migration. 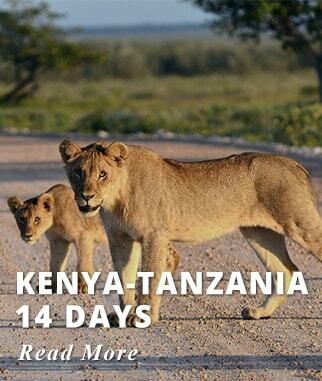 Enjoy daily Game Drives amongst the spectacular scenery and amazing wildlife. There is also Lake Naivasha, take a boat ride in this beautiful freshwater lake home to a variety of wildlife and a large hippo population. 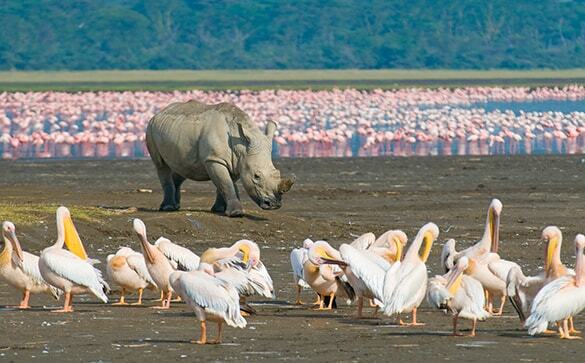 You also visit Lake Nakuru well known for the hundreds of pink flamingos that line its shores. We offer 100% guaranteed departures. All our packages include international flights, all taxes and fees there are no hidden costs. The price is valid for departures on Apr. 08, May 06, Oct. 08, Nov. 04, and Dec. 03, 2019 & January 13, 2020. Summer 2019 departures on June 04, July 08, Aug. 05 and Sept. 10 available from USD 300 extra and up. Please note prices are higher for departures during Christmas/New Year/Easter. Prices are per person based on two adults sharing accommodations. Single Travelers supplement USD 699. 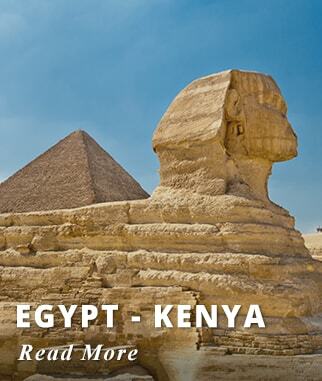 Board your international flight to Nairobi; we offer departures from most major Cities in the USA and Canada. Upon arrival our representative will transfer to your Hotel in Nairobi, Hotel Jacaranda is a charming hotel set amongst large landscaped gardens it offers Wi-Fi and outdoor swimming pool. Activities included today: Arrival in Nairobi. Enjoy a Free day at leisure. Relax at your Hotel or perhaps add an optional tour to your itinerary. Out of Africa Experience: Tour the former State of Dutch Author Karen Blixen, famous for her memoir Out of Africa that was made into an Oscar winner movie. USD 99 per person based on double. Daphne Sheldrick Elephant Orphanage: Here you will see the orphaned animals and meet the people who take care of them. USD 69 per person based on double. USD 119 per person single passenger. Activities included today: Free day at leisure. After breakfast head for spectacular Lake Naivasha. Arrive to your Lodge on time for lunch. Your Lodge is a beautiful property situated on fifty acres of grassland towards the evening animals stop here as they are leaving the lake. 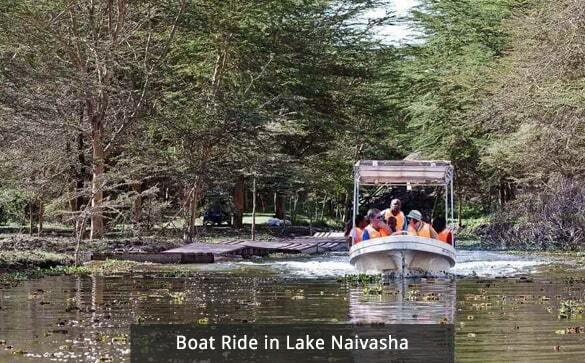 Enjoy a relaxing boat ride in Lake Naivasha, a great opportunity to admire the beauty of this area, Lake Naivasha is a freshwater lake part of the Great Rift Valley; it has an abundance of bird life with over 300 species of birds and plenty of game particularly hippo colonies. Return to the lodge as the sun sets. Depart from your Lake Naivasha Lodge to visit Crescent Island Game Park; one of the most beautiful Parks in Kenya, the shores host abundant birdlife especially large numbers of pelicans. 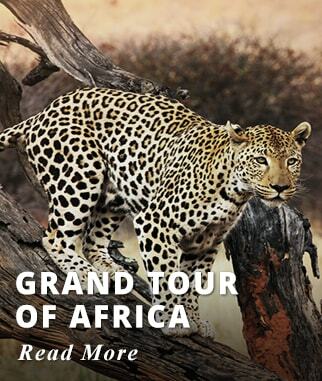 You can also expect to see Giraffes, Zebras, Waterbucks, and Wildebeests. USD 79 per person based on double. Accommodation: Lake Naivasha Sopa Lodge. Meals included today: Breakfast, Lunch and Dinner. 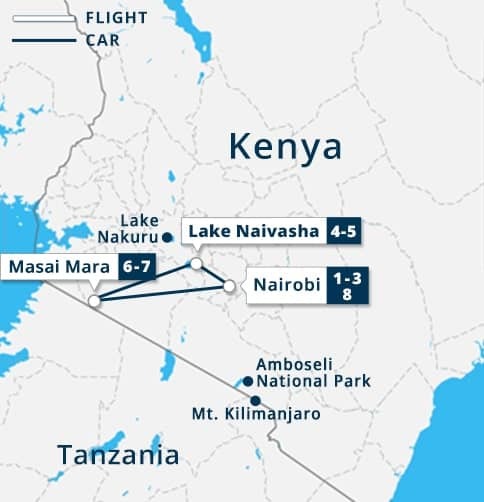 Activities included today: Travel by road Nairobi-Lake Naivasha. Enjoy a Boat ride in Lake Naivasha. After an early morning breakfast, leave with a picnic lunch towards Lake Nakuru. Travel along the escarpment road passing Lake Elementaita. Lake Nakuru National Park is a unique site full of flamingos and all sorts of wild game lining the shores of the lake all surrounded by beautiful forested uplands and cliffs. 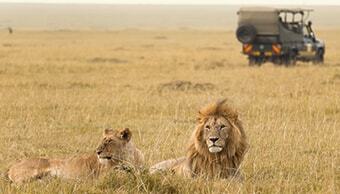 Enjoy a full day game drive in Lake Nakuru National Park returning to your lodge by sunset. Meals included today: Breakfast, Picnic Lunch and Dinner. 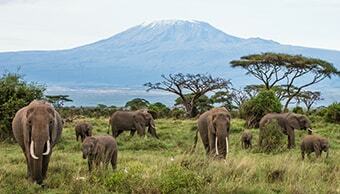 Activities included today: Full day game drive at Lake Nakuru National Park. 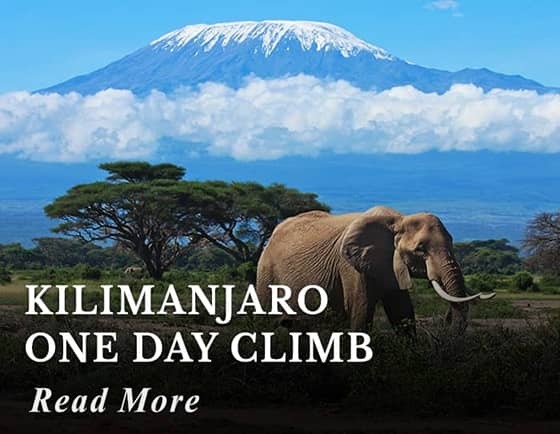 After an early morning breakfast, drive to Narok Town via Mai-Mahiu after a brief rest stop enter the Masai Mara arriving at your Lodge on time for lunch. Your Lodge the Mara Sopa has wonderful views of the surrounding hillside landscape rooms are spacious, and there is a large swimming pool on the property. 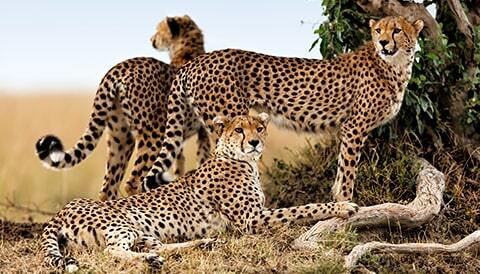 After lunch, join an afternoon Safari Game Drive at the spectacular Masai Mara Game Reserve. 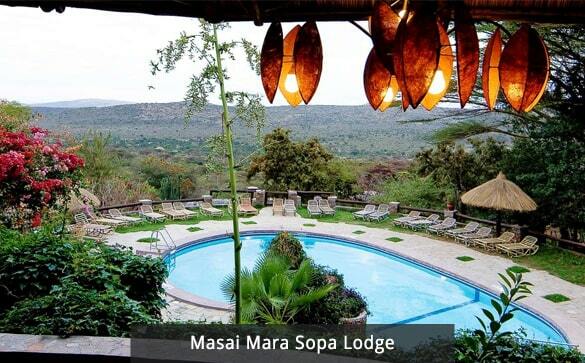 Accommodation: Masai Mara Sopa Lodge. 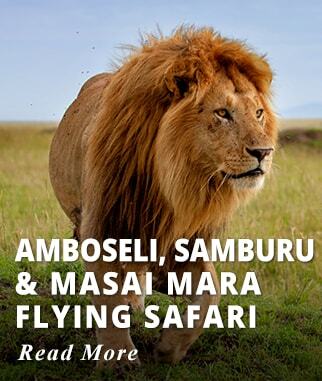 Activities included today: Travel by road from Lake Naivasha to Masai Mara National Park. Afternoon Safari Game Drive at Masai Mara Game Reserve. Today enjoy early morning and afternoon game drives at Masai Mara Game Reserve. Masai Mara is the best place to see lions but is home to over ninety species of mammals and over five hundred recorded species of birds. 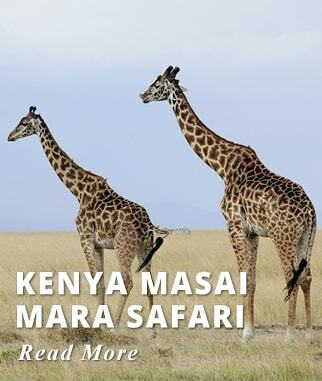 The Mara as is known by the locals is the Kenyan part of a large Ecosystem that extends past Kenya's border in to Tanzania's Serengeti, together they are the site of the famous Migration, an annual mass movement of wildebeest, gazelles and zebras. But the Park has excellent abundant wildlife year round, there is great opportunity to encounter the big five: Buffalo, Elephant, Leopard, Lion and Rhino. Masai Mara Hot Air Balloon Ride: Flying over the spectacular African Savannah in Masai Mara is an unforgettable experience. Start your flight as the sun rises, and enjoy the breathtaking views. 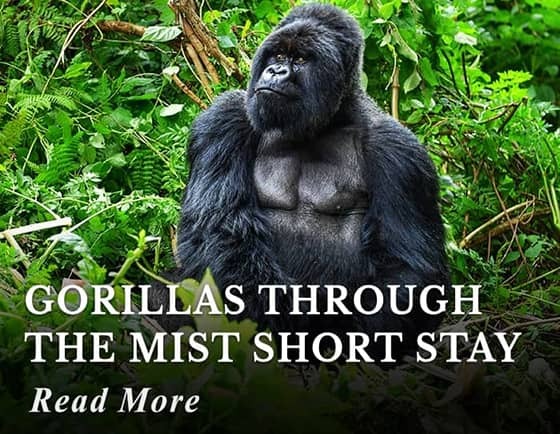 Silently drift above the plains, rivers, and forest, admire the stunning landscapes with the wildlife roaming beneath you. 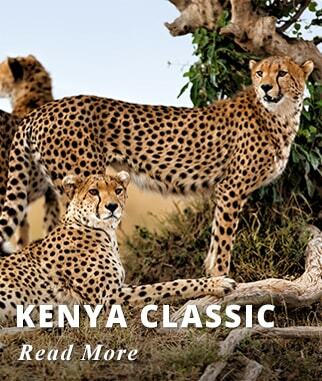 Activities included today: Morning and afternoon game drives at Masai Mara Game Reserve. 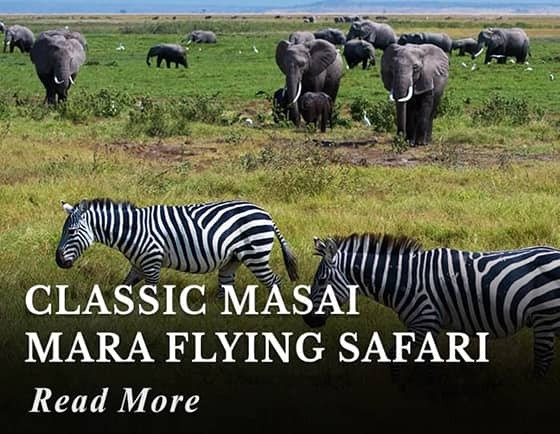 After breakfast, you'll depart the Maasai Mara and head across acres of rolling wheat and barley farms to Narok, the district headquarters of this part of Maasailand. From here cross the vast plains on the floor of the Rift Valley while keeping an eye out for herds of giraffe and gazelle before heading up the rift escarpment. 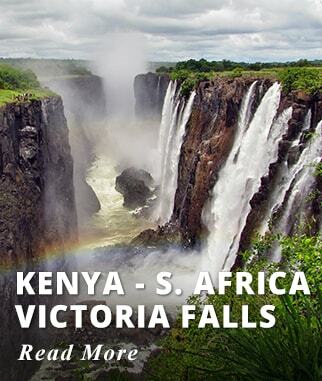 You'll arrive in Kenya's bustling capital in the early afternoon. Our representative will transfer you to the airport and assist you with your plans to return home. 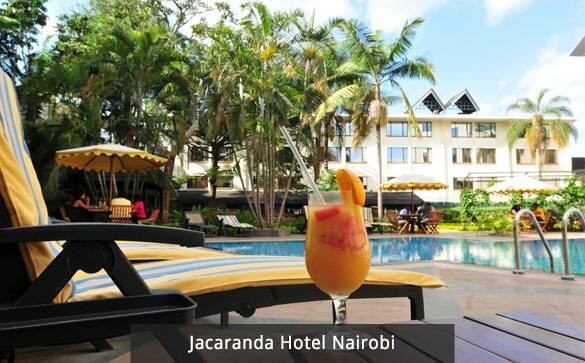 Two nights of accommodation at Jacaranda Hotel Nairobi. 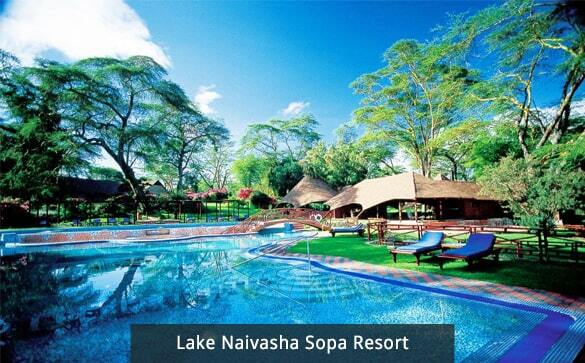 Two nights of accommodation at Lake Naivasha Sopa Resort on the shores of Lake Naivasha. 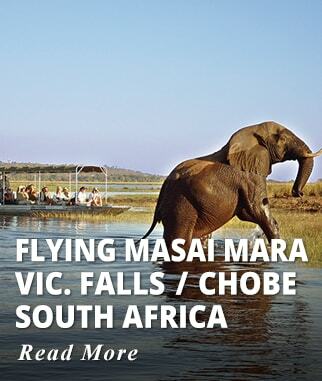 Two Nights of accommodation at the Mara Sopa Lodge in Masai Mara. Boat ride excursion in Lake Naivasha. 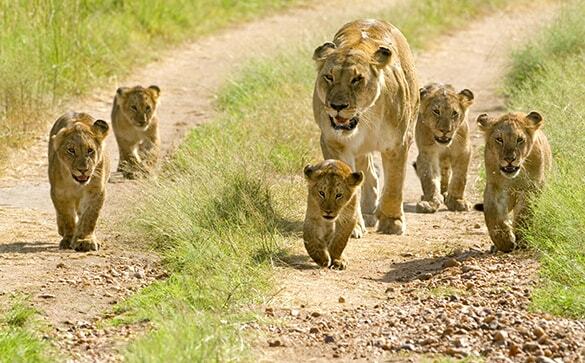 Guided Full day Game Drive in Lake Nakuru National Park. One Guided morning Game Drive in Masai Mara Game Reserve. Two Guided afternoon Game Drives in Masai Mara Game Reserve. 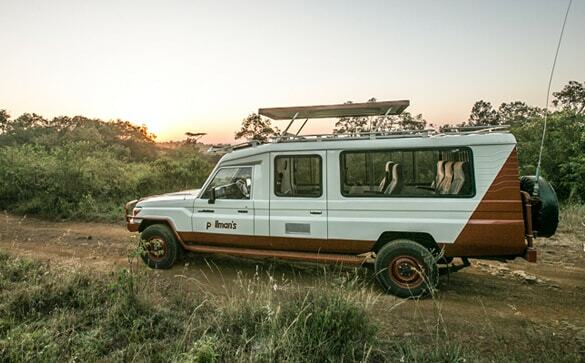 All transport for game drive safaris provided on a 4x4 safari vehicle with window seats/pop-up roof. Customary tips for drivers, guides, Hotel staff, etc. 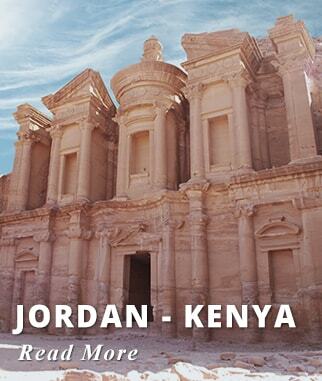 All optional tours mentioned on the day by day itinerary provided. Suitcases are unsuitable for road safaris; passengers should bring only soft-sided bags, not exceeding 15kg. We were able to see the big 5, and 16 lions close by! We had a good time. Our drivers Hasan in Tanzania and Jacob in Kenya were nice and helpful. All the accommodations and transport were good. Food was good in all the places. There was delay in the flight from Chicago, hence they gave us seat in United and flew directly to Paris. Thank you again. Will recommend you to our friends. P.S: We were able to see all the animals, and the big 5. And 16 lions close by! The lodges, food, people and guides were exceptional! The trip was amazing! The lodges, food, people and guides were exceptional. No bad experiences at all, except I checked my luggage on the trip back from Zanzibar-Nairobi-Paris-Montreal and it got lost, but even that has not upset me, I enjoyed Africa so much! 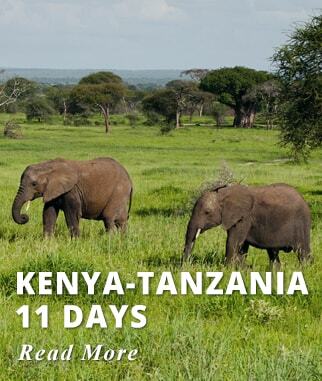 Discover Kenya with our great selection of itineraries. We offer customized, guaranteed departures with small groups.